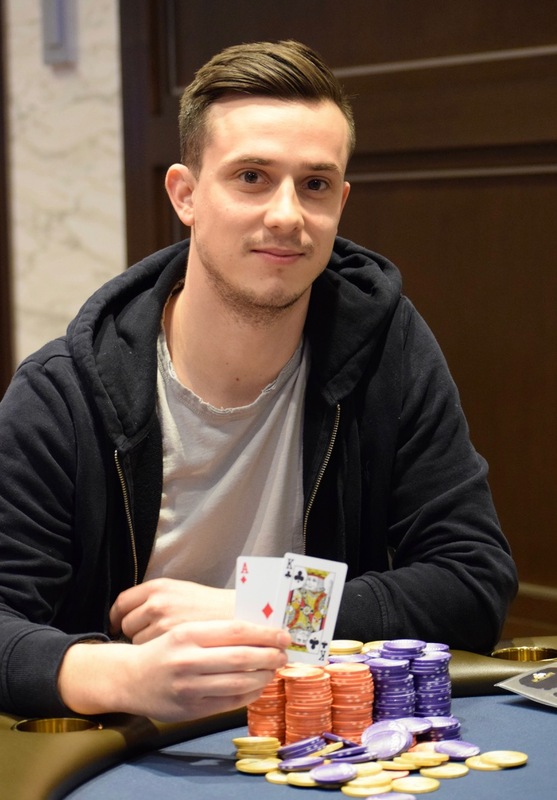 Down 11-1 in chips, Darrell Cain moves all in with Jack_Ten and he runs in to the Ace_King of Alex Lynskey. The board runs out 4-7-8-3-6 and Cain is eliminated in second place, collecting $33,594. Here is the full results from Event 1.